The pre-Valentines Day dispute involved a heart-shaped cigarette ashtray. ST. PETERSBURG, Fla. — A St. Pete man was arrested following a dispute at a hotel involving a heart-shaped cigarette ashtray the weekend before Valentine's Day. 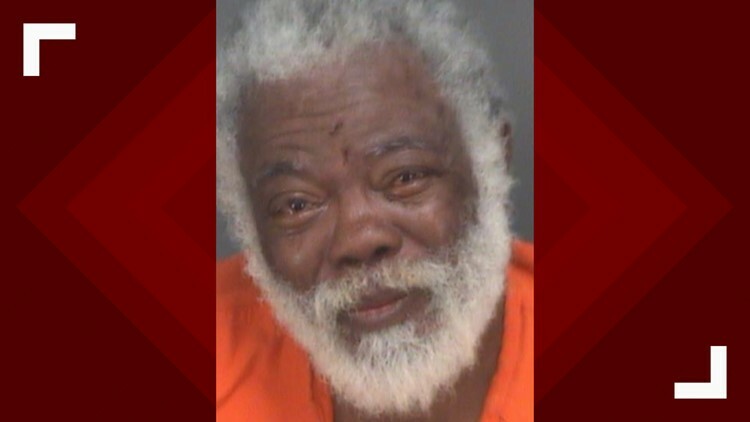 Broderick Louis Crump, 66, put the ashtray into a drawstring bag and swung it at the woman multiple times, in addition to hitting her with his hands, according to an arrest affidavit. The woman told police she was held down against her will on a hotel bed. The affidavit says she used a crack pipe to defend herself, scratching Crump's left shoulder and bicep area. Police say the woman had a "swollen bump under her right eye," a scratch on her left cheek and dried up blood on her chest and clothes. Investigators say Crump threatened to harm himself and the victim. Officers say he was the "primary aggressor" because he approached the victim first and didn't have "any defensive wounds on his body." He only had a scratch on his shoulder, consistent with what the victim said.